The use of a lightweight CI4+ frame and an newly designed Magnumlite spool make the Chronarch MGL the perfect baitcasting reel for serious bass and predator anglers. 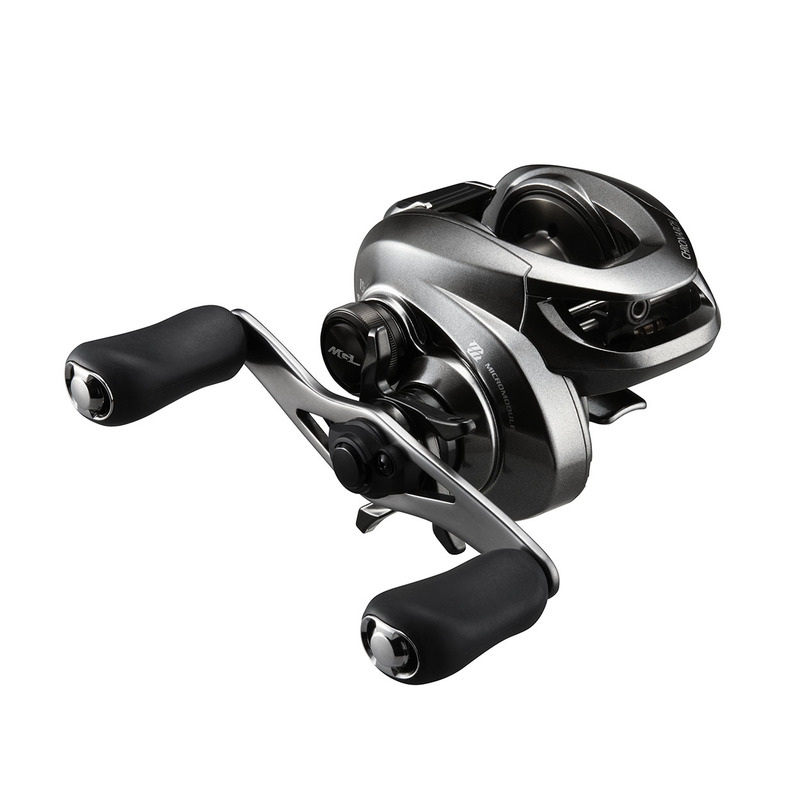 Lighter and more advanced than ever before, its CI4+ construction in combination with the new Magnumlite spool allowed Shimano to reduce its overall weight, while still maintaining incredible rigidity and strength. Since CI4+ does not contain any metal, it is impervious to rust, making the Chronarch MGL a great reel that can be used for many years to come. Because of additional machining of the new Magnumlite spool its weight is reduced which in turns reduces the startup inertia of the spool, resulting in increased casting distance and a great casting feeling. The new SVS infinity braking system offers a much wider range brake compared to previous SVS infinity which can easily be adjusted by the outer dial on the Chronarch MGL reel. The use of X-Ship ensures making winding efficiency and strength in though situations and the built in level wind delivers line smoothly across the spool. The precisely engineered micro module gears result in seamless gear engagement for a smooth and sensitive operation. For smoothness and durability there are 8 shielded A-RB bearings and a roller bearing. The new Chronarch MGL comes in a left- and right handed version in a normal-, high-, and extra high gear ratio.